To unravel the molecular mechanisms and the causal chain of how thiazolidinediones (TZDs) affect glucose homeostasis, it is helpful to analyse their direct influence on isolated specimens of fat, muscle, and liver in vitro. Studies on isolated adipocytes have shown that the nuclear peroxisome proliferator-activated receptor-γ (PPARγ) is an important molecular target for TZDs, through which they trigger adipocyte differentiation and adipose tissue remodelling. It is not clear, however, if the activation of PPARγ in adipose tissue is the cause of all the metabolic actions of TZDs. Based on in vitro studies, two hypotheses have been developed. The first emphasizes PPARγ-mediated actions on adipose tissue, suggesting that insulin sensitization of skeletal muscle and liver is triggered indirectly by changes in circulating concentrations of adipocyte-derived non-esterified fatty acids and peptide hormones. The second states that TZDs improve glucose homeostasis independently from adipose tissue actions by the direct interaction with muscle and liver. This hypothesis is supported by direct TZD actions on fuel metabolism of skeletal muscle and liver in vitro, which seem to be independent from PPARγ signalling. 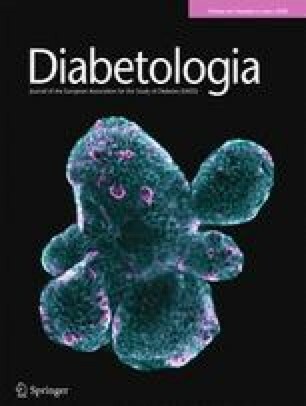 Major progress has been made in understanding the mechanisms involved in the effects of TZDs on adipose tissue but the causal chain responsible for their antihyperglycaemic action is still not clear. The involvement of other molecular targets in addition to PPARγ, of adipocyte-derived messengers, and of direct interaction with skeletal muscle and liver have yet to be clarified.